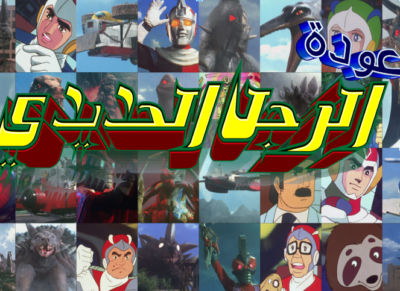 We are doing business to localize Japanese old and new anime contents for Middle Eastern countries. Also we provide cooperative animation production between Japan and the Middle East, and broadcast Japanese TV programs in Middle Eastern media. Producing programs and commercials that we would like to expand in the Middle East. With sponsorship from Saudi Arabia, we developed a new documentary movie for the popular series in the Middle East Dinosaur Wars Aizenborg with cooperation from the original creators and Tsuburaya production. And Together with Tsuburaya Productions, we negotiates with television broadcast rights for the local area, product planning and development such as DVDs and toys, we are continuing to develop products for local sites by license out in cooperation with Tsuburaya Productions. A Revival of the Popular Japanese Series Aizenborg in the Middle East The First Saudi Arabian/ Japanese Joint Project for Tokusatsu (Special Effects Film) Tsuburaya Production (Shibuya Ward, Tokyo), Mr. Jarrah Alforieh (Riyadh, Saudi Arabia) and Cultures Factory Co., Ltd. (Minato-ku, Tokyo), produced a documentary film for the famous animated-series in the Middle East Aizenborg titled (The return of Aizenborg).